When I take in the news in print, online or on television, violence dominates, and I hear a lot of discontent and negativity. It doesn’t seem real. She was watching a detailed report of the story of Patty Hearst, granddaughter of William Randolph Hearst, newspaper magnate and millionaire. (Remember the Orson Wells movie, Citizen Kane?—modeled on WR Hearst’s life of lonely wealth.) Patty Hearst was kidnapped and held hostage in 1974 by the Symbionese Liberation Army (SLA). Being young (20, just 10 years older than my daughter) and vulnerable, Patty was brainwashed and later joined the group—"willingly.” Her father had paid 60 million in ransom requests for food for the poor but the food was declared “spoiled” by the SLA and therefore inadequate. Patty was arrested for her involvement in a San Francisco bank heist and sentenced, thanks to “expert” witnesses, possibly bribed for their testimony, in 1976 to spend 35 years in prison. President Carter in 1979 commuted her sentence to two years, and President Clinton pardoned her in 2001. She eventually married her former bodyguard, had two children and dabbled in an acting career. She is now 59. She is pictured below at the bank heist yelling commands. Another photo showed her with an M1 rifle. I picked this one. What a tale! No wonder my daughter thought it was the latest crime horror show on TV. It spanned five years of her tender early teen years and five of Hearst’s prime early twenties. And it was real. 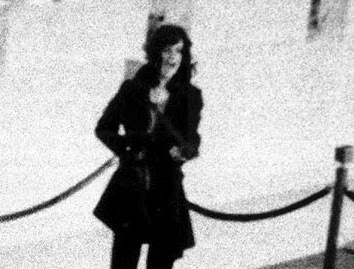 The amount of trauma that Patty Hearst sustained in a short time, and maybe even a little vicarious trauma for my daughter, makes one a “dabbler” in life. The very ground feels tentative. I don’t know if this was true for Patty or witnesses to her drama, and I won’t judge that, but I do know from my own experience, both professional and personal, that when someone or some circumstance tries to steal your life, or steals it for a time, long or short, the scars are like tattoos on the brain and in the heart. You can survive with help and lots of authentic love and support. You can heal and forgive just by living your life with intention and will. But you don’t quite forget. Many days I get discouraged, let’s say disgusted, with the way things are. I want to harden my heart, shrug and look away. And, like my daughter did, I wonder what is real: all the violence or the basic goodness of everyday folks doing their lives and smiling big like our postman in all kinds of weather? The best advice I can give is: Don’t pick the scabs and do what makes you feel happy. You are free to do that in little ways. Why bother? Because unhappy people are dangerous. They want company. When I think of the Godde of Love I try to hold faith in, I think: Only a Big Love would bestow the gift of freedom—paradoxical "punishment" enough because it allows us to do what we want and look what we wrought all by ourselves and our freedom. So we don't need to make God into a judge and jury. Godde doesn’t judge but God does give us freedom, a dangerous gift. Damn scary I’d say. Yet too, we are free to be happy even when it’s hard. It’s more catching than unhappiness.